I’ve been wanting to incorporate more veggies into my breakfast without making yet another hash,omelette or sauteed veg side. 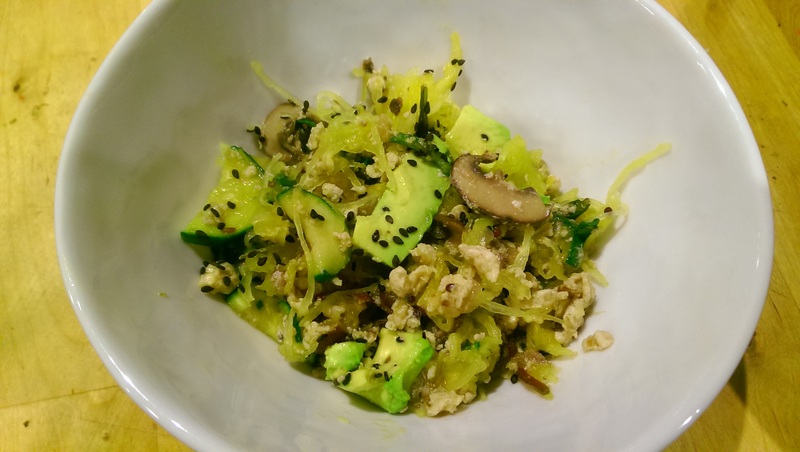 I’ve been playing with more squash for breakfast – baking an egg on top and treating it like a baked potato but I really scored a hit with a bowl of spaghetti squash. 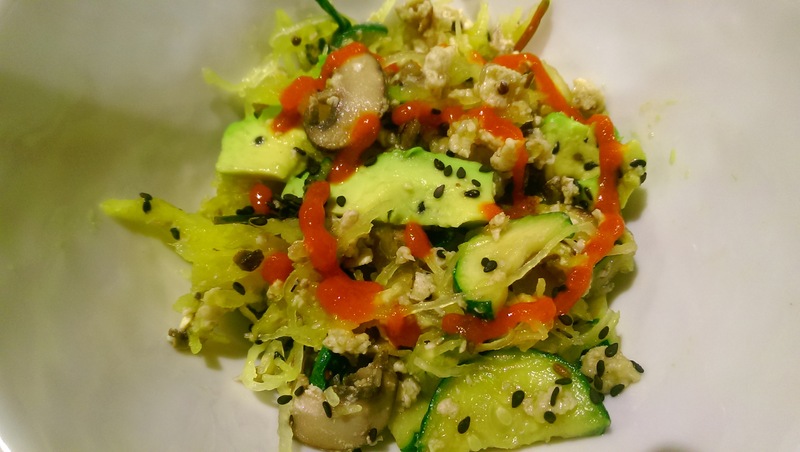 I make it during the week and for brunch – egg whites with sauteed veg, spices and mixed with avocado and spaghetti squash. I especially like it topped with hot sauce…sriracha to be precise. This is a simple breakfast bowl full of good fats, protein and veg.I start by frying spices in coconut oil for about 1-2 minutes until they are roasted and fragrant. Then I add in shallots, diced and cook for about 30 sec to 1 min. Next is sliced mushroom. I prefer cremini because they are earthy but light in flavor and are not too meaty to bite into. I cook them down until the oils are released. 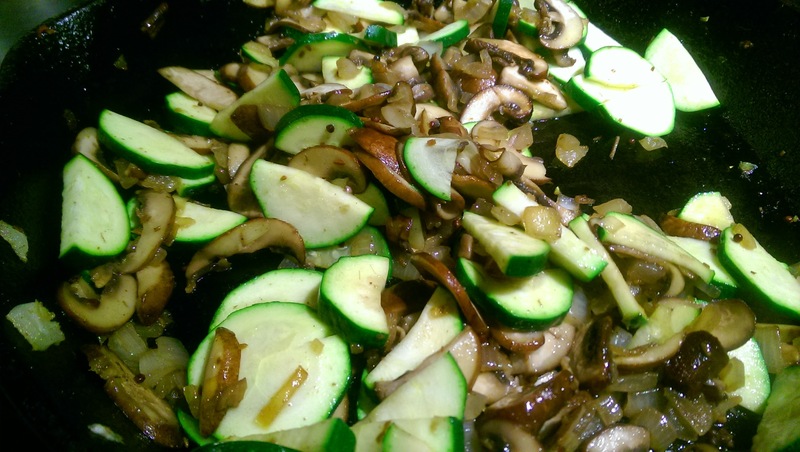 The I add in the sliced zucchini and sautee gently until they are cooked but firm. I add in the egg whites next, and scramble. In goes the diced garlic for about 1 min. Finally, I turn off the heat and add in baby spinach. At this point I add salt and pepper to taste. I place it into a large bowl, fold in the cooked spaghetti squash (see here for cooking the squash). 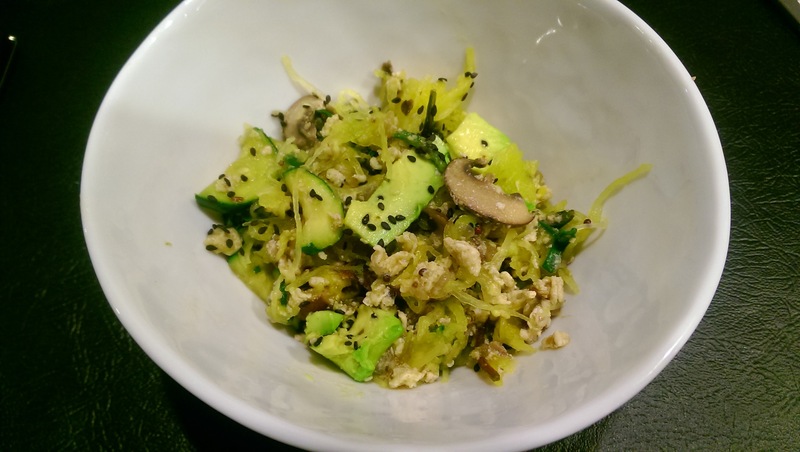 Top with avocado and garnish with black sesame seeds. So delicious. Even better topped with sriracha. So simple. And I can make it the day before, leaving out the avocado and sesame, reheat and then garnish. Heat a skillet on low to medium heat and add coconut oil. Add cumin, brown mustard seeds and cayenne. 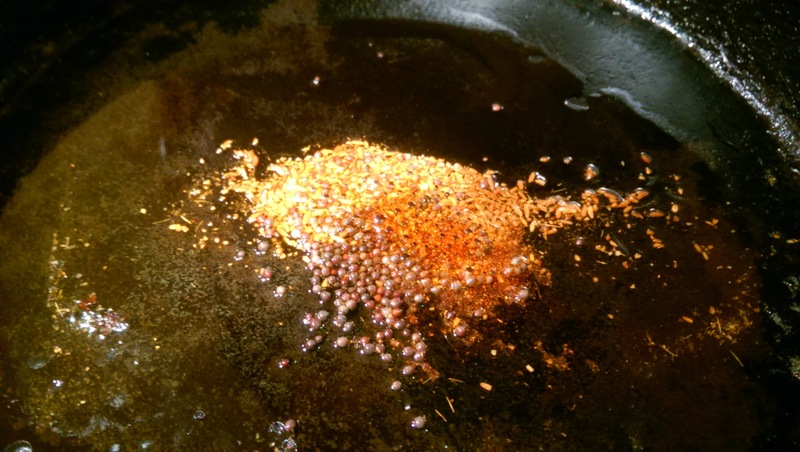 Roast spices for 1-2 minutes until fragrant. Add shallot and stir in for 1-2 min. 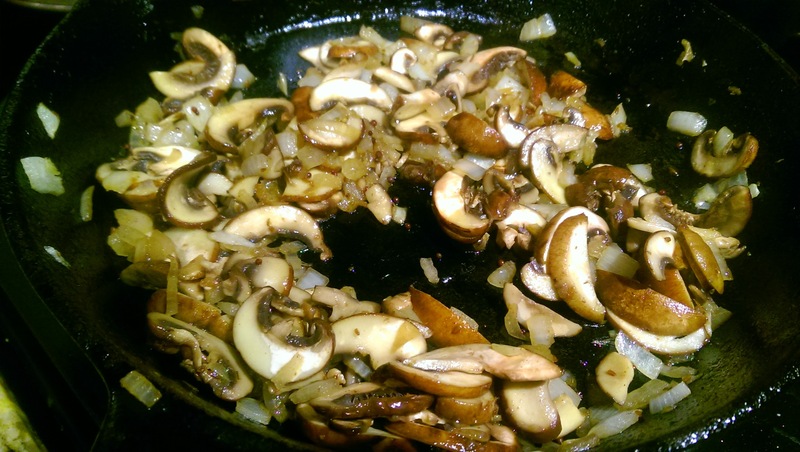 Add mushrooms and cook, stirring every so often, until cooked through and oils coming out – about 5-7 minutes. 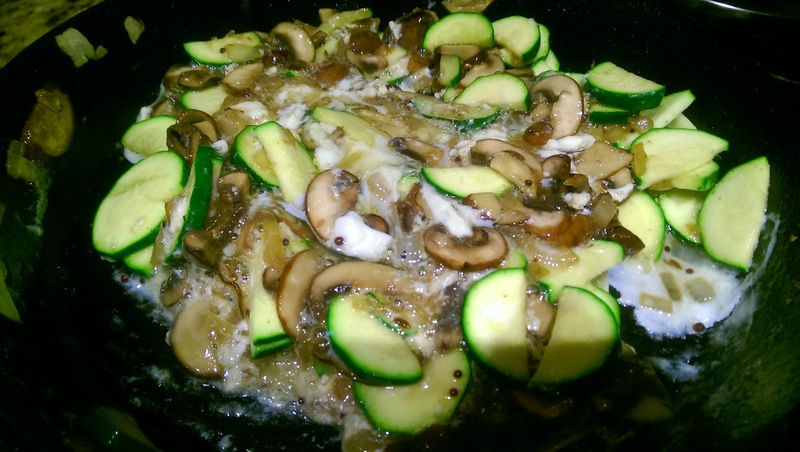 Add zucchini and cook for 2-3 min until soft. 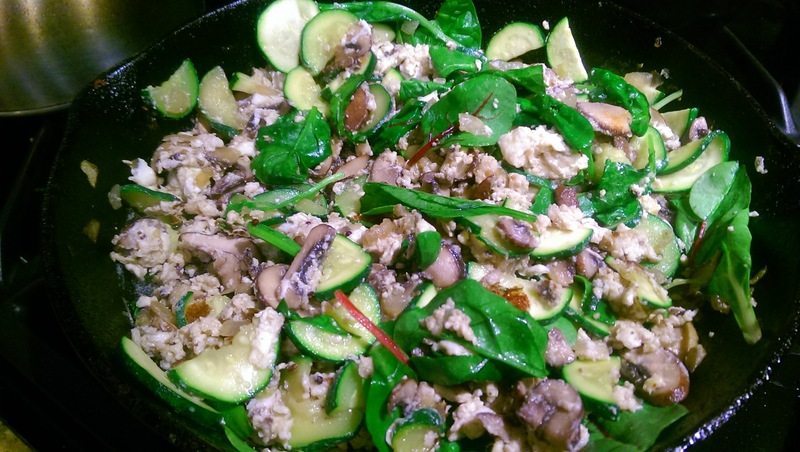 Add egg whites and scramble with the veggies – about 5 min, until cooked. Add garlic, stir and cook for 1-2 min. Remove from heat and stir in spinach. Place into a separate bowl, salt and pepper to taste. 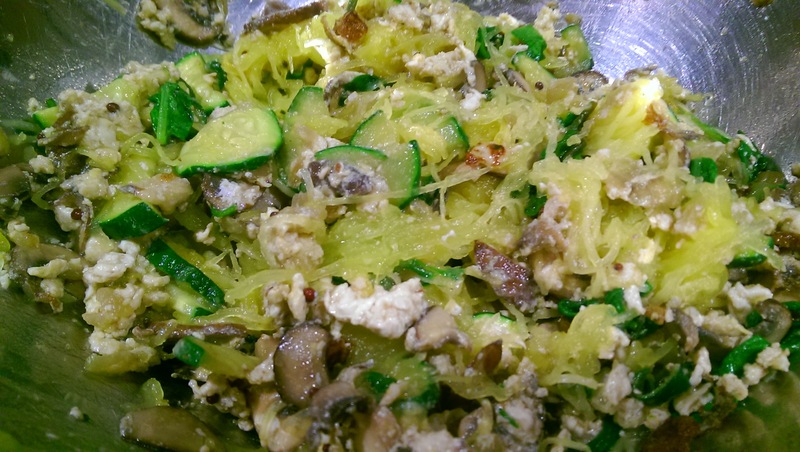 Stir in spaghetti squash – portion into a bowl. 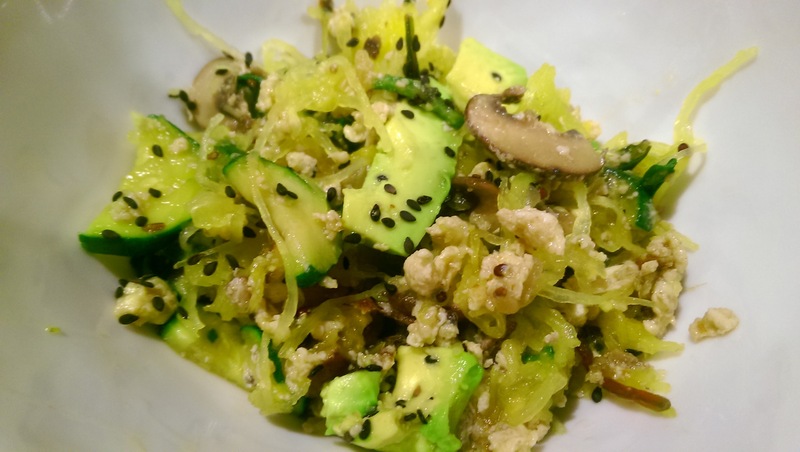 Garnish with avocado and sesame seeds.